Il VI Workshop Internazionale 3D-ARCH "3D Virtual Reconstruction and Visualization of Complex Architectures" si terrà ad Avila in Spagna dal 25 al 27 Febbraio 2015. L'edizione 2015 sarà focalizzata sulle fasi ed i processi per la modellazione terrestre 3D intelligente, accessibilità e comprensione degli ambienti virtuali da diverse fonti di dati. - Virtual and Augmented Reality applied to the visualization and conservation of complex architectures and heritageThe event will have single-track technical sessions with oral presentations and poster sessions. 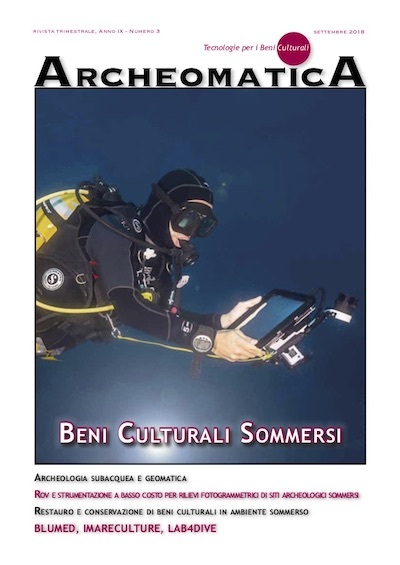 Pubblicazione deli article: Gli article accettati saranno pubblicati nell'ISPRS International Archives of Photogrammetry, Remote Sensing and Spatial Information Sciences (http://www.isprs.org/publications/archives.aspx). The 6th 3D-ARCH international workshop on "3D Virtual Reconstruction and Visualization of Complex Architectures" which will be held in Avila (Spain) on 25-26-27 February 2015. The 2015 edition will focus on the steps and processes for smart 3D terrestrial modelling, accessing and understanding of virtual environments from multiple data sources. PAPERS PUBLICATION:The accepted articles will be published in the ISPRS International Archives of Photogrammetry, Remote Sensing and Spatial Information Sciences (http://www.isprs.org/publications/archives.aspx). Avila is a UNESCO World Heritage city since 1985 and is very close to Madrid.